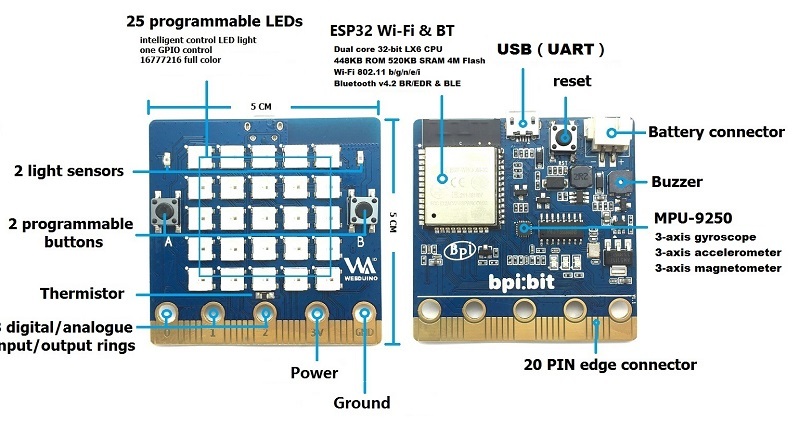 The BPI bit (also referred to as BPI-bit, stylised as bpi:bit) is an ESP32 with 32-bit Xtensa LX6 dual-core processor based embedded system. 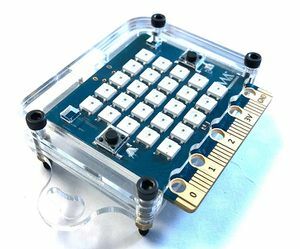 It supports Webduino, Arduino, MicroPython as well as Scratch X programming environments. 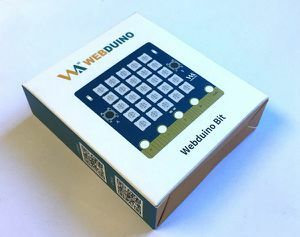 Webduino Bit is the latest board of Webduino with much more sensors on top of its basic functions(Wi-Fi connection, muti-connectivity,multi-board...). 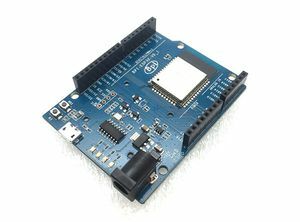 It uses ESP32 module,one of the most efficient and stable chipset in the market, which has built-in 2.4G Wi-Fi and Bluetooth,448KB ROM,520KB SRAM,speed up to 600 DMIPS,and 40 nm technology. 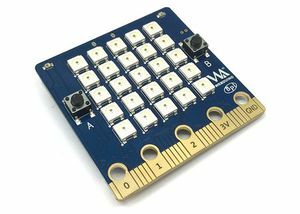 BPI:bit have 25 LEDs on board, it can be controlled with a single GPIO. 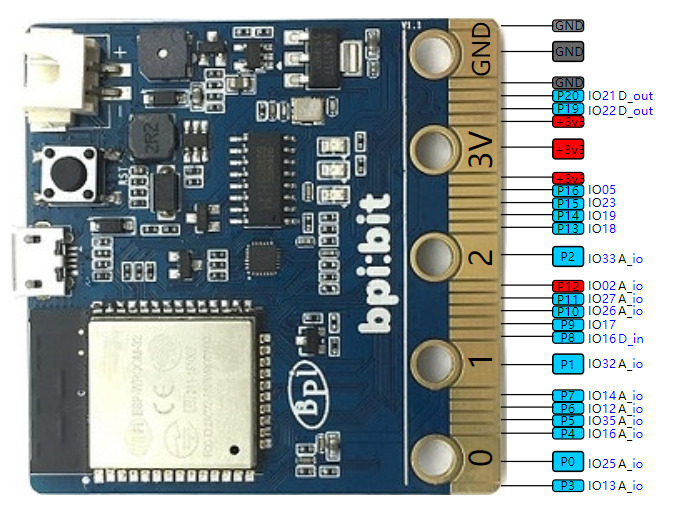 The 9-axis sensor, MPU9250, is placed on the BPI:bit board. 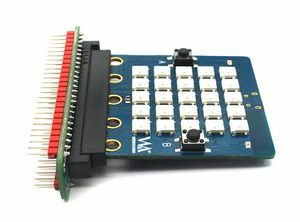 and MPU9250 uses I2C 0x69 address. 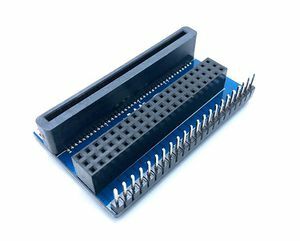 1.micro USB port:USB cable power supply, the design of BPI:bit board has Micro USB interface, which is quite common in daily life and is quite convenient to use. 2.Battery port:Through 2 pin battery power supply socket, can through the lithium battery, battery pack to power supply board, interface fool proof design, don't worry about the power supply through the 2 pin battery power supply socket, can through the lithium battery, battery pack to power supply board, interface fool proof design, don't have to worry about power supply meet the problem. 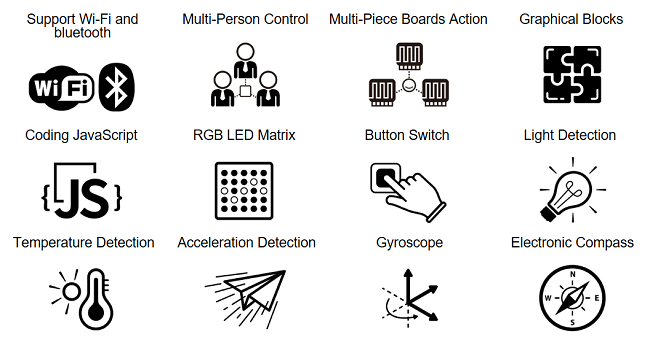 3.Goldfinger ：Power is supplied through the gold finger, and the gold finger at the bottom of the board contains the power interface. 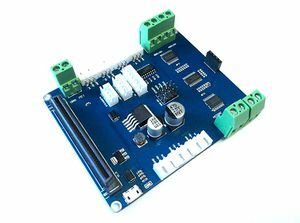 Meanwhile, it has both input and output functions and has high compatibility. This page was last edited on 22 April 2019, at 04:02.